Classic Motorboat FISHERMANS SKIFF. 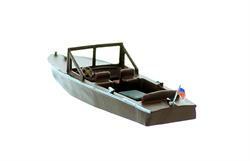 Widely used offshore fishing boat used in commercial fishing operations....great for open water or at a Dock. These boats are often used for small rivers and sea going fishing. 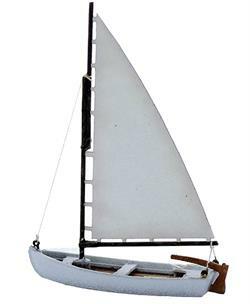 The Center Console Fishing boat kit is a detailed simple assembly that will give your waterfront a boat not seen on layouts very often. Center consoles are a staple of waterfront fishing scenes and deserve a place in your waterfront detailing.